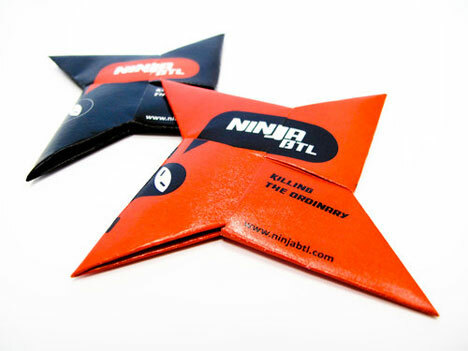 Guerilla marketing firms annoy the crap out of me, but I have to admit that Latvian firm Ninja BTL's business card would probably not get lost in the shuffle on my desk. 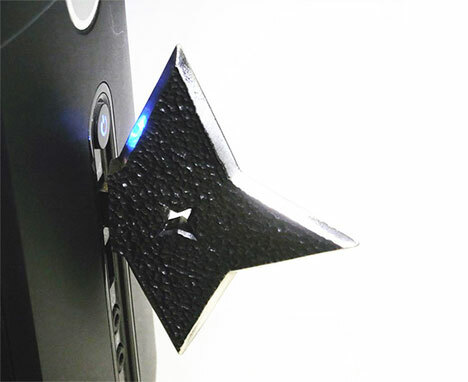 But a ninja product I could really use is this flash drive, which can hold up to 2GB of ninja secrets. 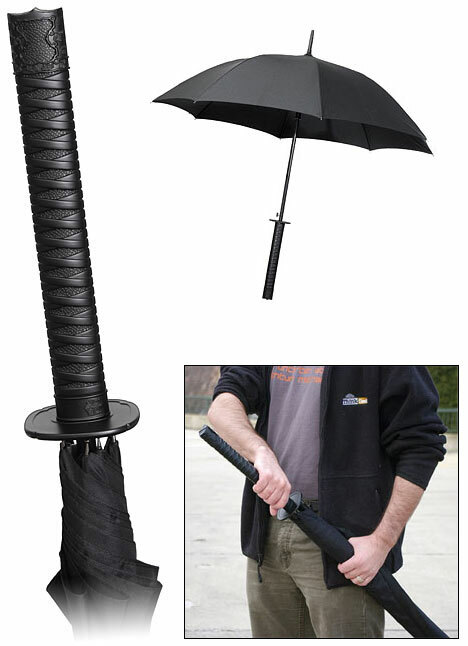 Not to be outdone by their sworn enemies, Samurai have retailated by designing themselves an umbrella. They might not have thumb drives, but at least they will stay dry!